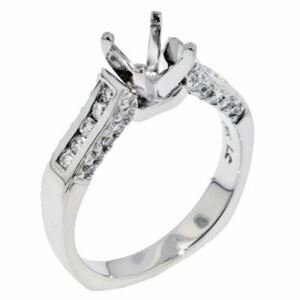 14k white gold diamond engagement ring with .39tw of round brilliant cut diamonds. G-H in color, VS2 in clarity. The center diamond is sold separately.